The type of therapy you receive at OrthoMaryland depends upon your specific medical concern. 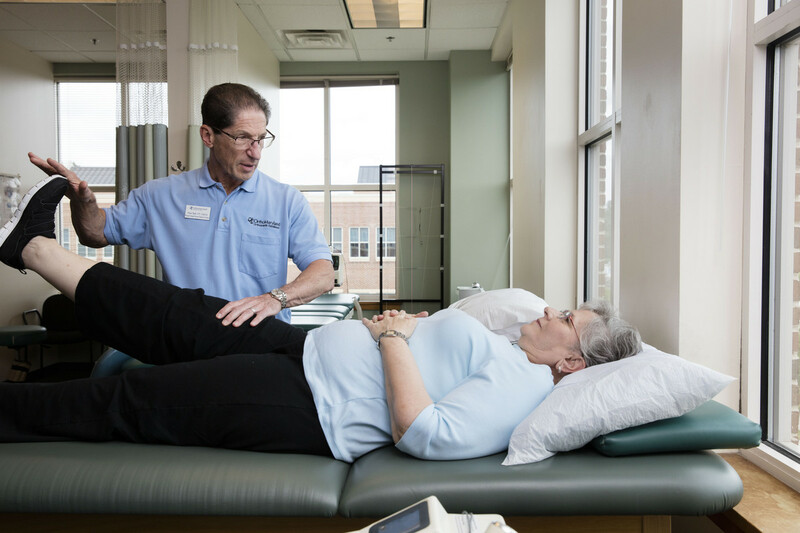 Therapy patients, regardless of the type of therapy they receive, benefit from the latest modalities as well as state-of-the-art weight machines and cardiovascular exercise equipment. Therapy appointments can be made based on referral by a primary care physician or orthopaedic specialist. You can also give us a call if you want to use physical or occupational therapy as an initial treatment option for your pain. The Physical Therapy Department at OrthoMaryland treats treat surgical and non-surgical patients with orthopaedic diagnosis and pains associated with all muscle groups. 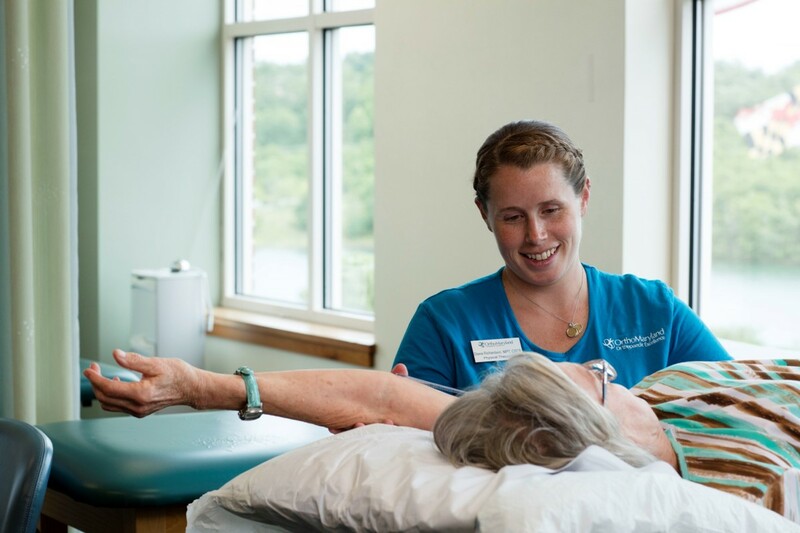 The goal is to help patients increase their strength, endurance and flexibility, as well as fine-tune their posture to help reduce pain and improve overall function. When treating injured athletes, OrthoMaryland's team of sports medicine specialists relies on years of on-the-field experience evaluating and treating orthopaedic injuries in various game settings. Through physical therapy, we are committed to helping athletes of all ages and skill levels regain their strength and return to their previous level of play. We understand the importance of physical therapy in the recovery process from surgery. That's why we've added a pre-surgery rehabilitation (pre-hab) component for some patients. If surgery is needed, the patient is evaluated before their upcoming surgery. During evaluation, pre-operation objective measurements such as range of motion and strength are obtained. Patients will be provided with information about the surgery and more importantly, the rehabilitation process. They will also receive exercises to perform prior to surgery. Our goal is to get patients familiar with their therapist and the entire rehabilitation process, before surgery.